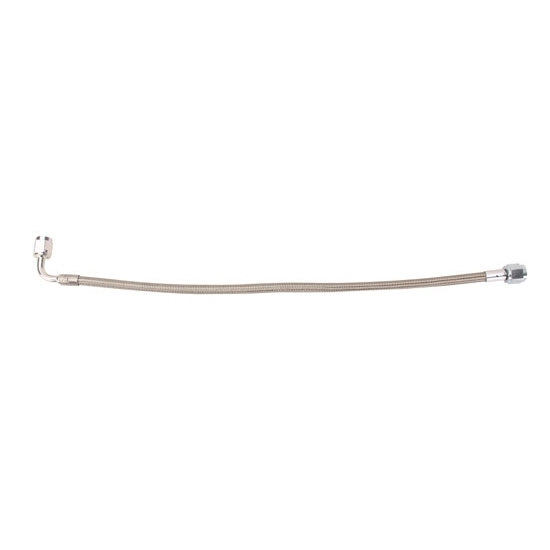 These high quality stainless steel, braided fluid lines have a 90° fitting on one end and a straight fitting on the other. They work well for brake lines, clutch lines and gauge lines. These are available with AN3 or AN4 fittings. Sold individually. Select applicable length. AN size is the "-#" at the end of the part number. Building a brake system is not difficult if you understand what each component does. Click here for everything you need to know about brake hydraulic valves.